L.L. Bean said Friday it will restore its employee bonus after net revenue rose in 2018. Shown is the L.L.Bean retail store in Freeport. L.L. Bean’s net revenue nudged up 1 percent in 2018 to $1.6 billion, the company said Friday. That means that employees, who got no bonus last year when sales were flat compared to the previous year, will receive a performance bonus for fiscal year 2018, which ended Feb. 24, 2019, the company said. 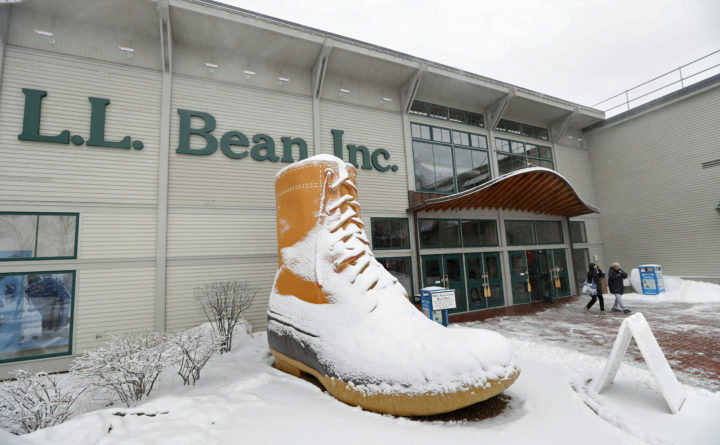 The L.L.Bean board of directors approved a performance bonus of 5 percent of annual pay to approximately 5,400 eligible employees. The board also approved an additional 2 percent 401(k) contribution. The positive performance comes at a time when the retail industry continues to experience challenges and follows a year in which considerable changes were made at the company. In 2018, L.L. Bean completed an upgrade of its internal legacy technology and warehouse systems. The company said the upgrade resulted in record-setting daily orders processed, the highest on-time delivery and the lowest customer product backlogs in decades. The company also said changes to the return policy cut fraudulent and abusive returns. The company changed its unlimited return policy in February 2018, a move that drew ire from some consumers, including four lawsuits, some of which have since been dismissed. L.L.Bean also continued to grow its Be an Outsider marketing campaign that it said has attracted a notable increase in new buyers. Improvements in core profitability enabled the company to invest nearly $45 million in employee benefits in 2018, including the discretionary cash bonus, 401(k) contributions and enhancements, expanded paid time off, paid parental leave, elder care support and a holiday gift.